yes based on dates given. 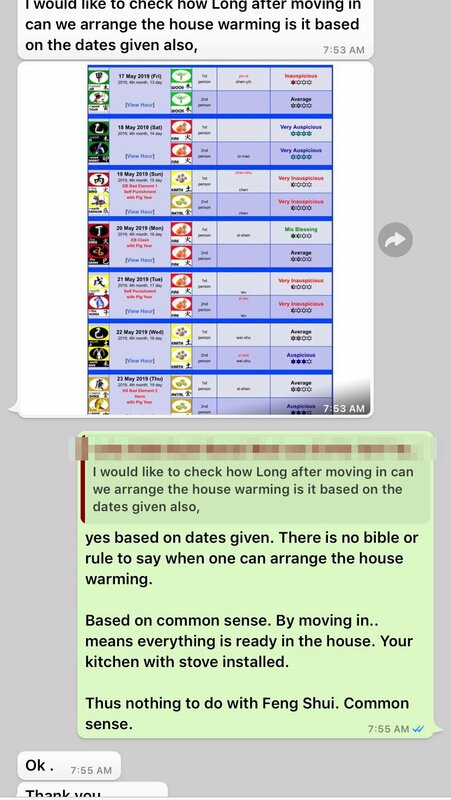 There is no bible or rule to say when one can arrange the house warming. Based on common sense. By moving in.. means everything is ready in the house. Your kitchen with stove installed. Thus nothing to do with Feng Shui. Common sense.